Chicago's Revolution Brewing is no stranger to growth. In the nearly six years since they first opened as a brewpub in Logan Square, they've grown from around 2,500 barrels a year to nearly 80,000 in their Kedzie brew space. And with all of that growth, new recipes, special releases and tap space comes the need for some serious design. Well, serious in terms of numbers and reach – but 'serious' is something Rev certainly doesn't portray as, as a brewery. Instead, their brand's image is one of lightheartedness, yet rebellion. Their brewery name and ethos alone hints strongly toward the 'stick-it-to-the-man' mentality. "When I started working with Revolution Brewing over five years ago, they already had a logo and an industrial feel in their brewpub; but other than that, it was pretty much a blank slate. They were just starting to break ground on their brewery and needed help developing their brand." "Packaging was a main need, as they were about to begin distributing beers for the first time. In order to communicate the theme of revolution, we drew inspiration from Russian Constructivist propaganda. This seemed like a wise direction because it was a good source for symbolism and was a pre-established iconographic language for the idea of revolution." "Ultimately, we did not want the brand to feel too serious or militant, so we incorporated slightly humorous, exaggerated illustrations and bold color palettes for balance. It was our twist on the aesthetic." 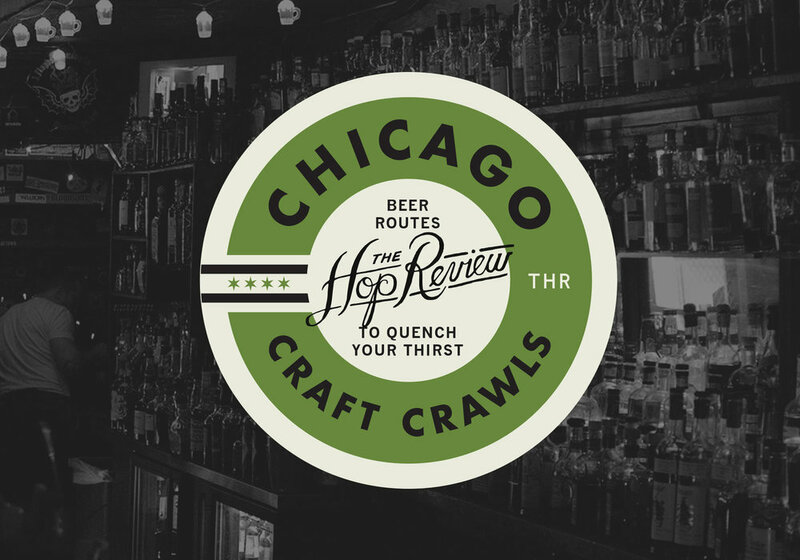 Thanks to Ian Law of Mighty Few Design for providing the images for The Hop Review case study, and the insight to his design approach to the Rev brand. "Quality Conversation with Revolution Brewing"